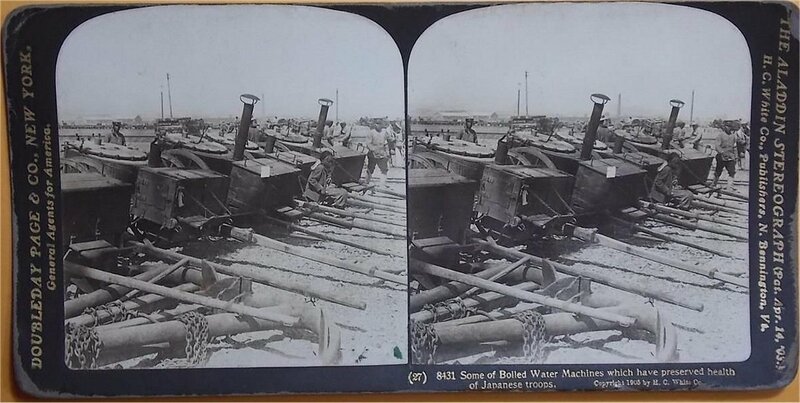 Some of Boiled Water Machines which have preserved health of Japanese Troops. 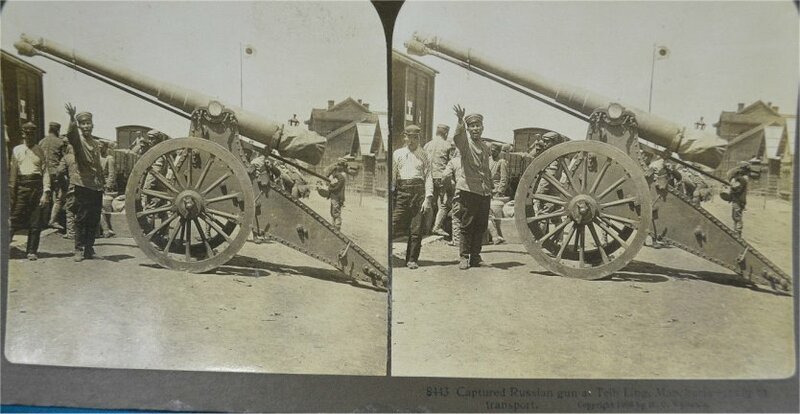 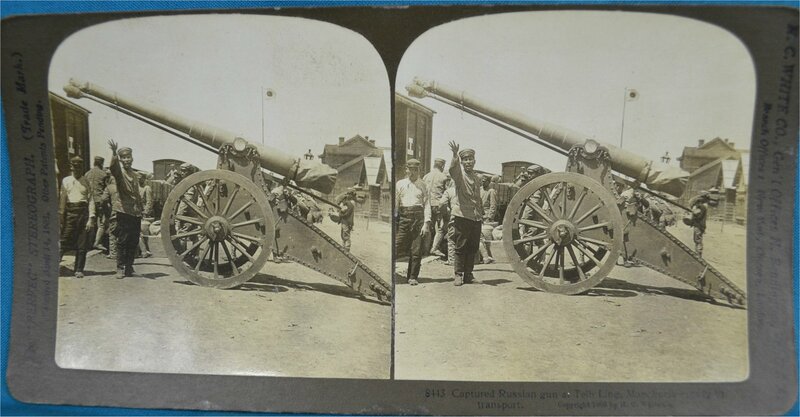 Captured Russian gun at Teih Ling -- ready to transport. 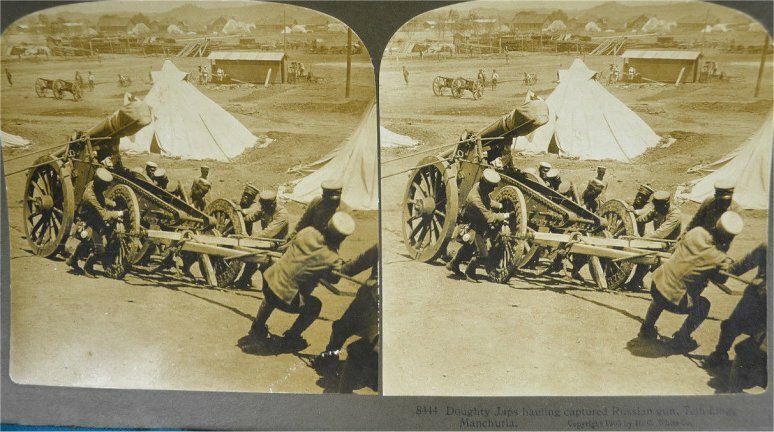 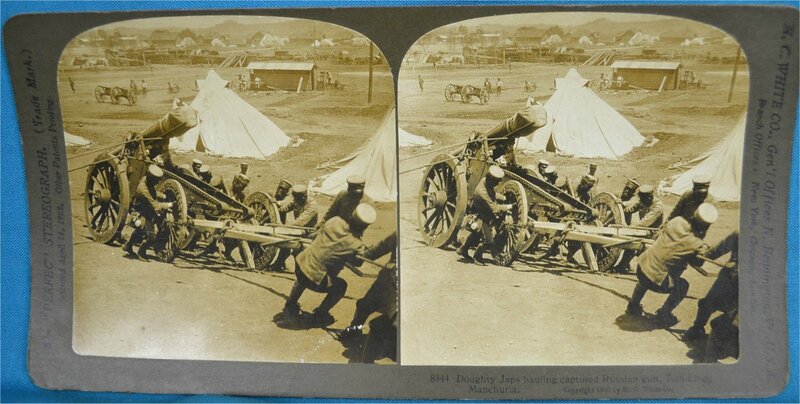 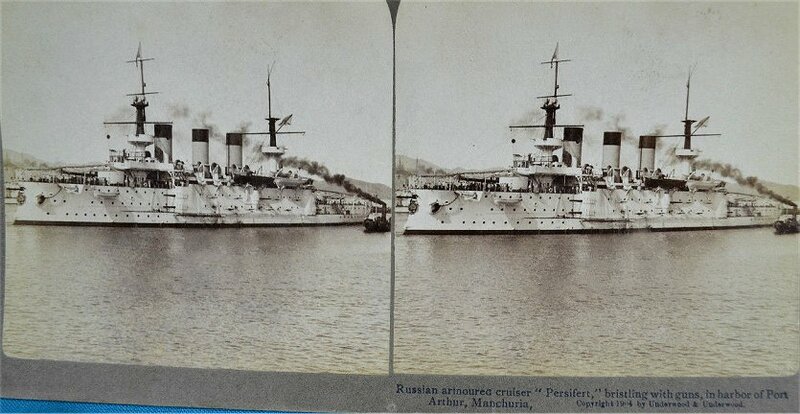 Doughty Japs hauling captured Russian gun, Teih Ling. 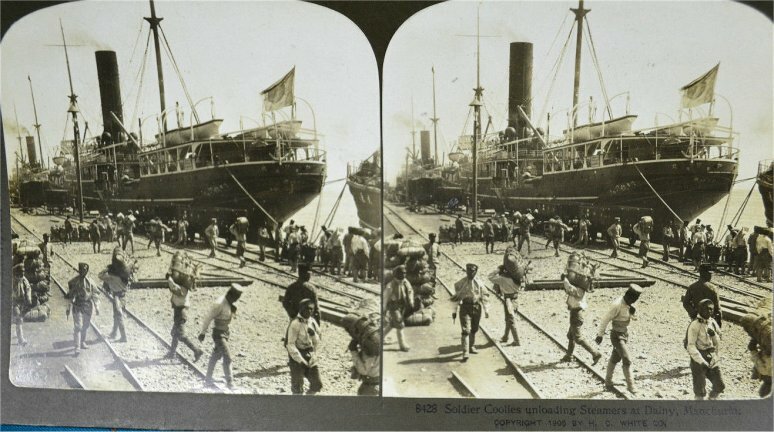 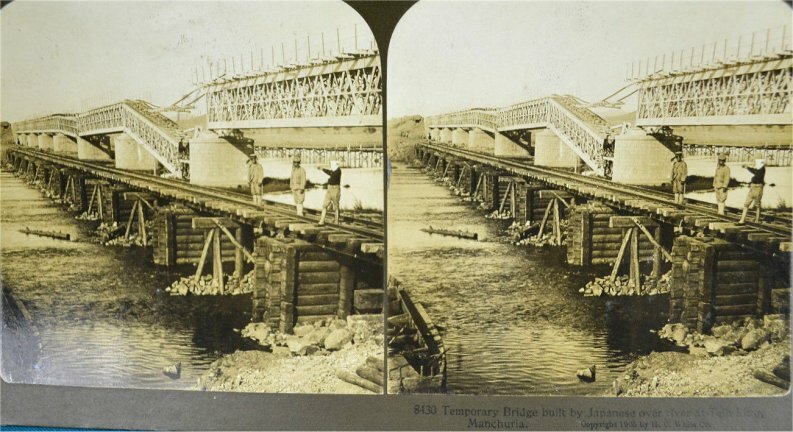 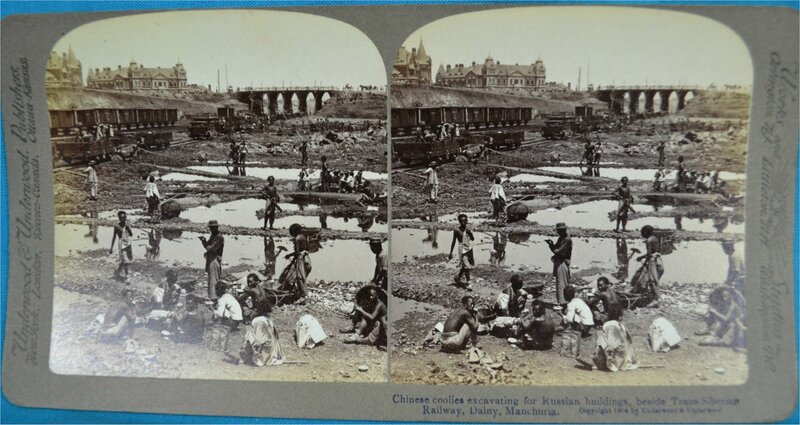 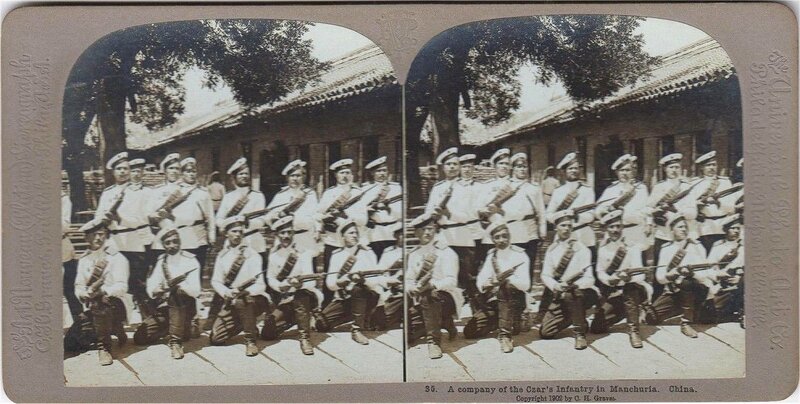 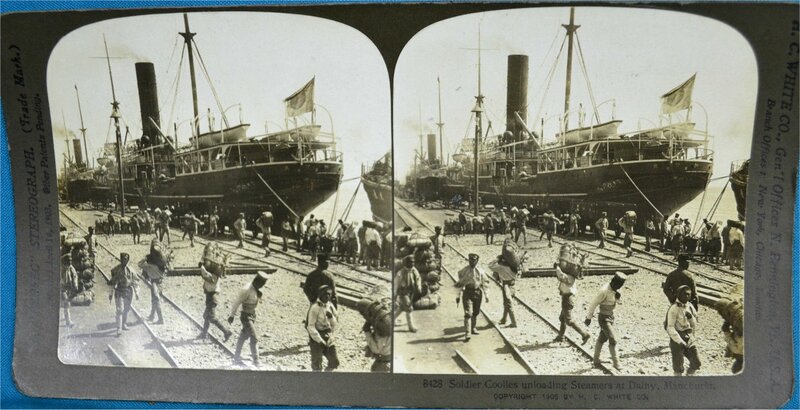 Soldier coolies unloading steamers at Dalny. 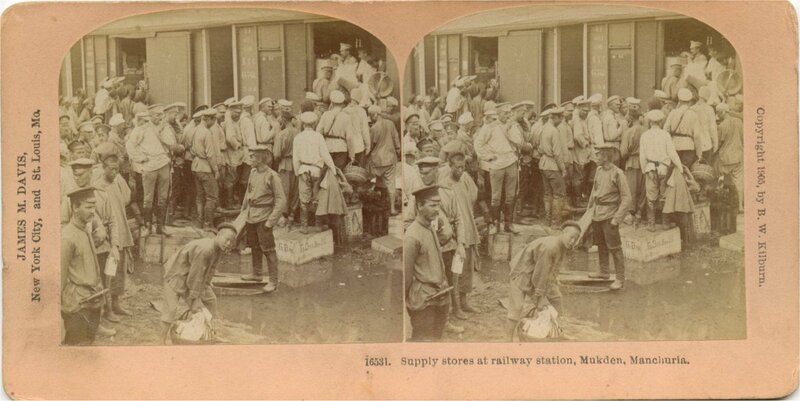 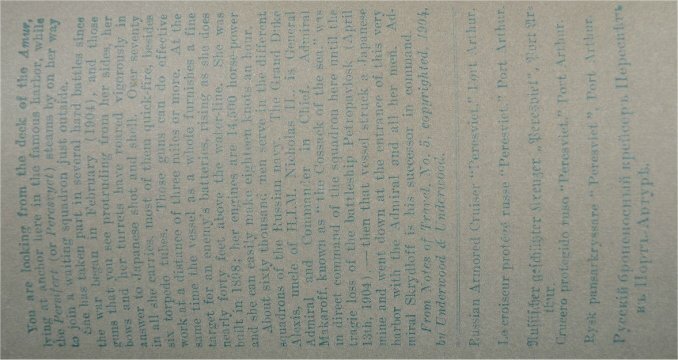 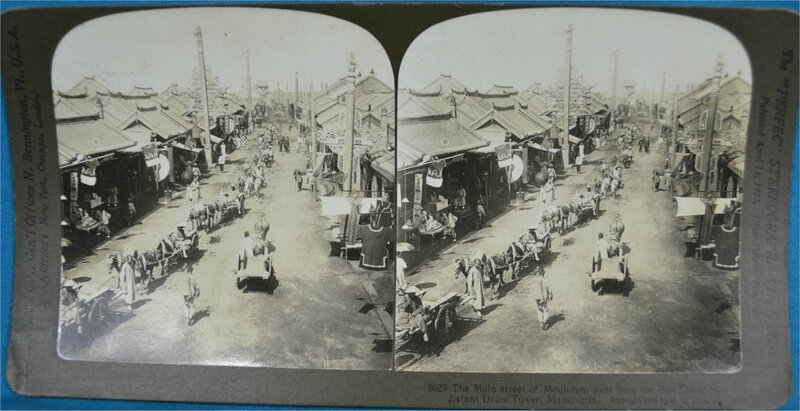 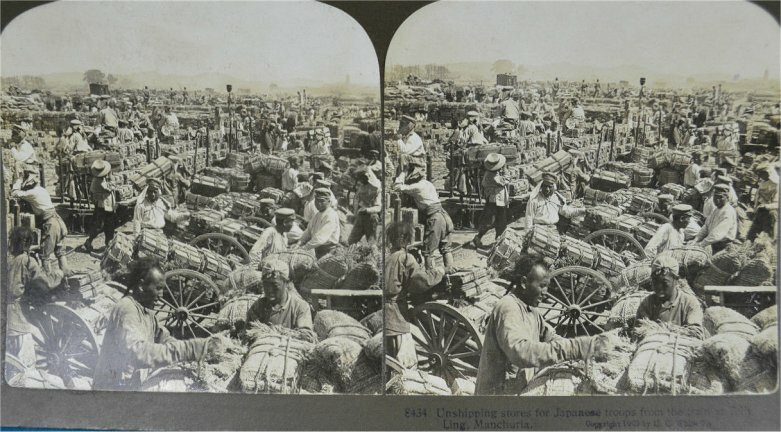 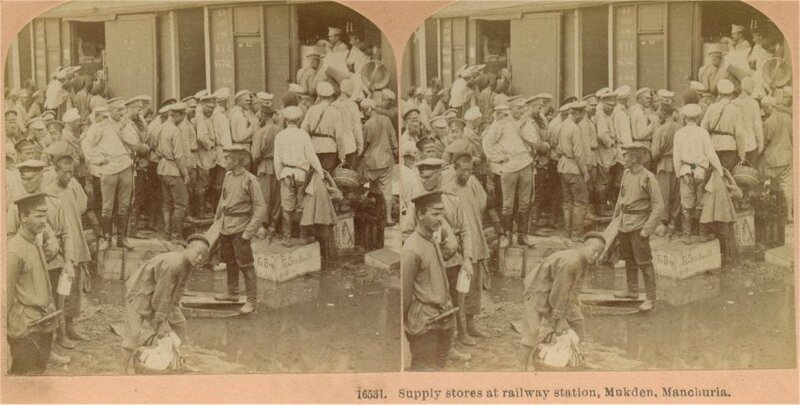 Unshipping stores for Japanese troops from the train at Teih Ling. 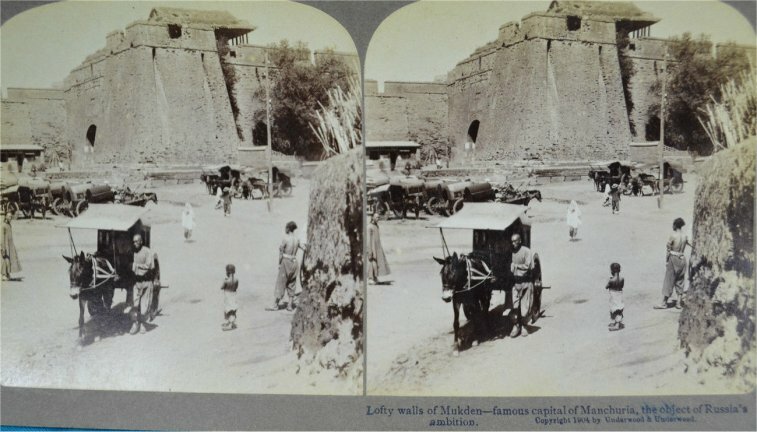 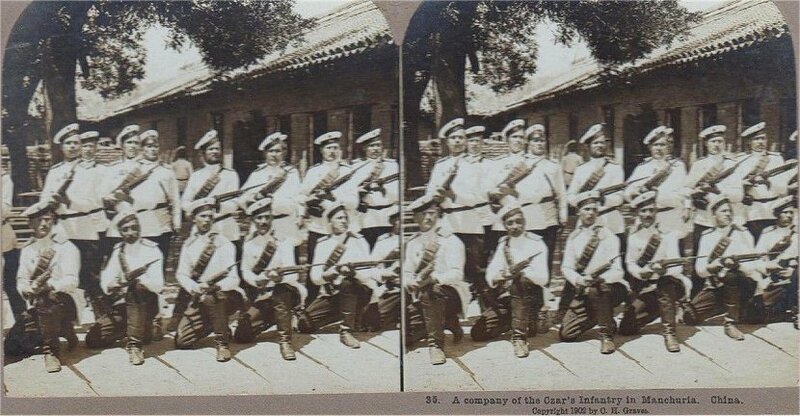 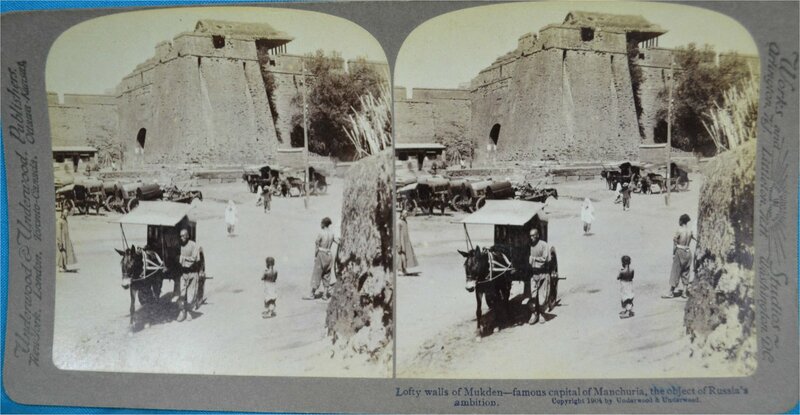 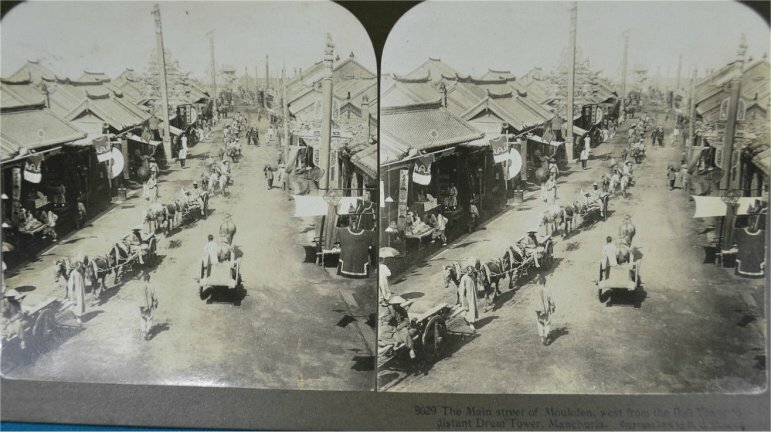 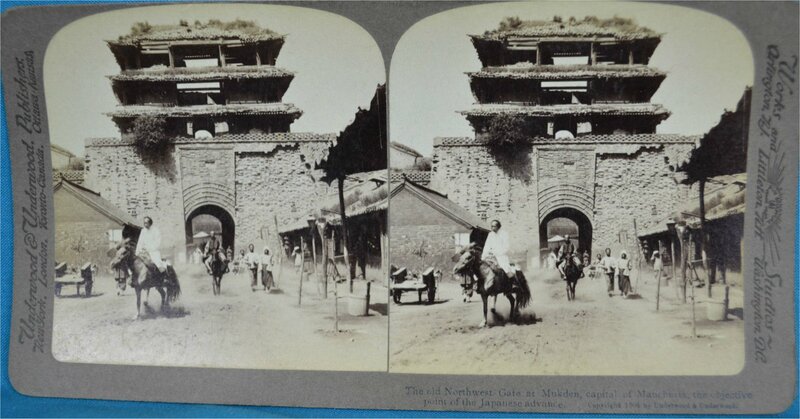 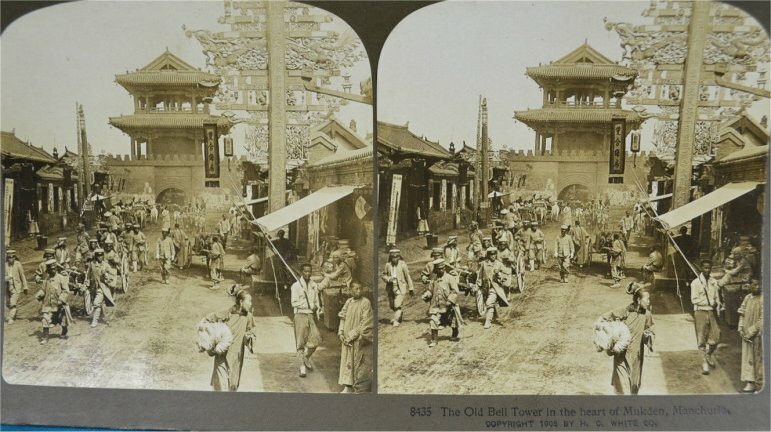 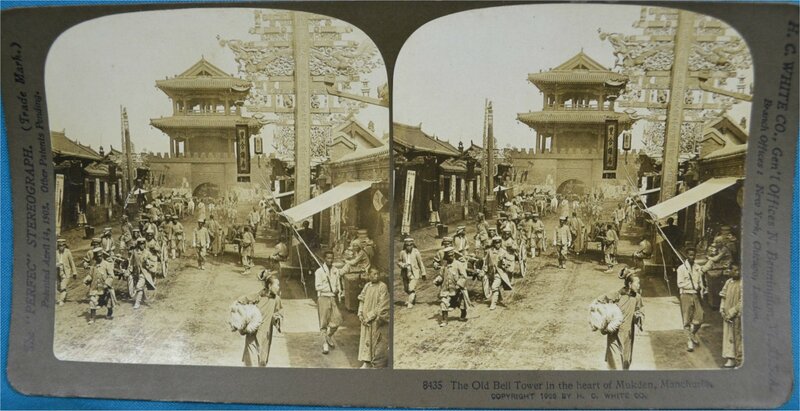 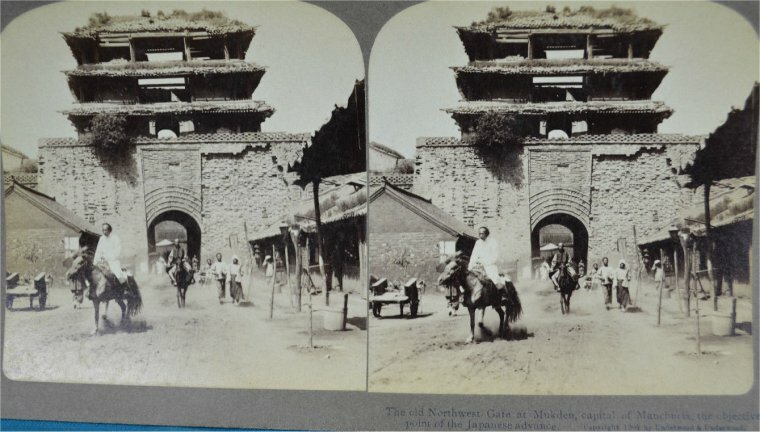 The old Northwest Gate at Mukden, capital of Manchuria, the objective point of the Japanese advance. 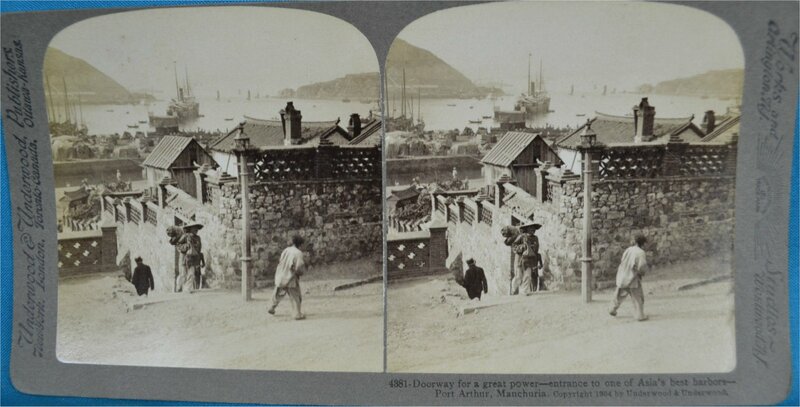 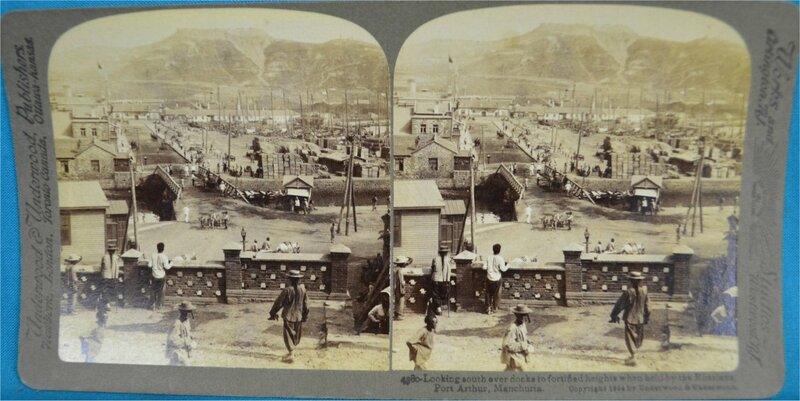 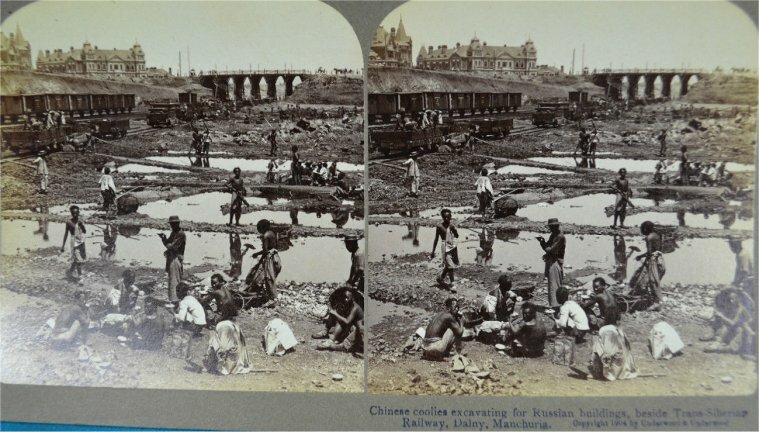 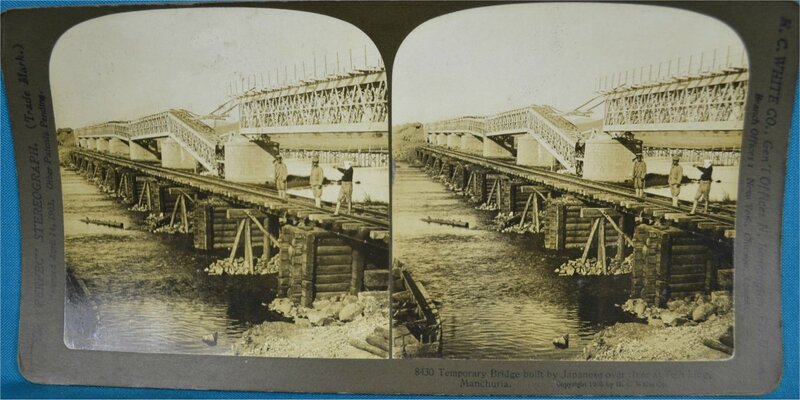 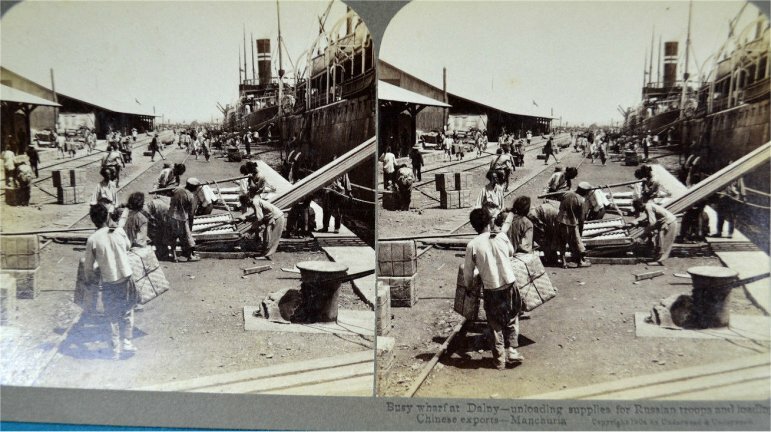 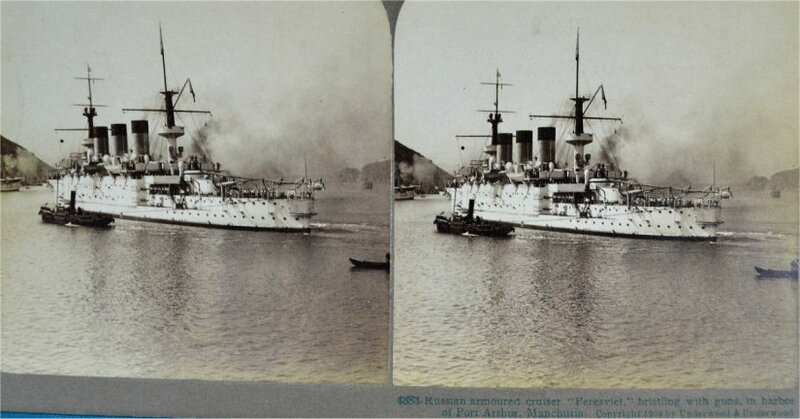 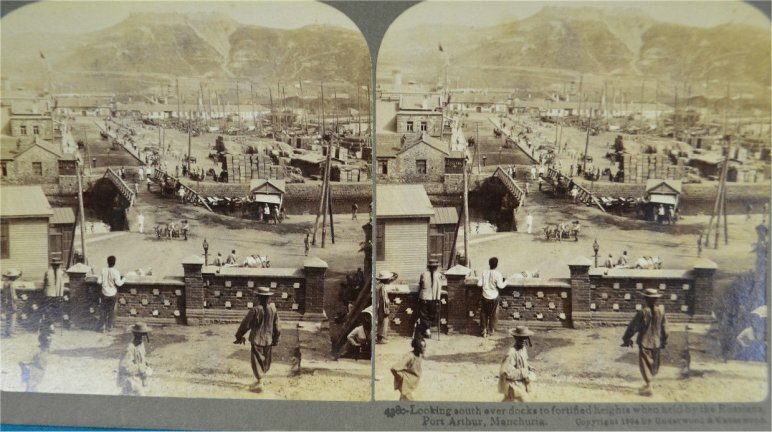 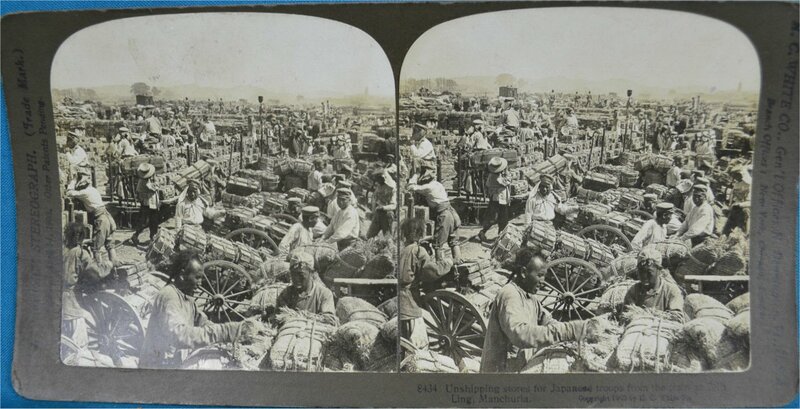 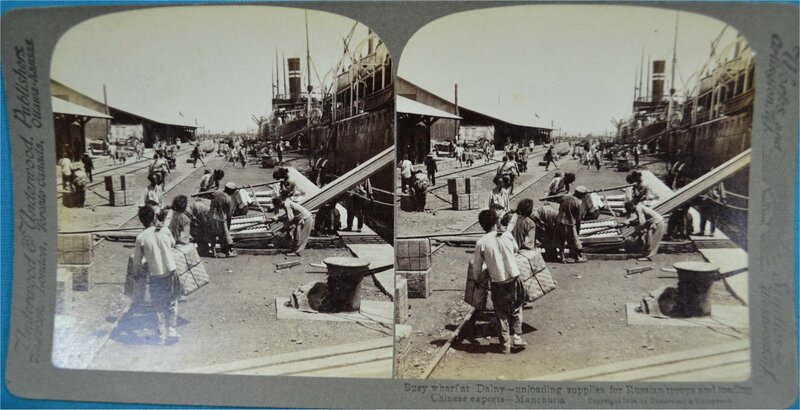 Busy wharf at Dalny -- unloading supplies for Russian troops and loading Chinese exports, Manchuria. 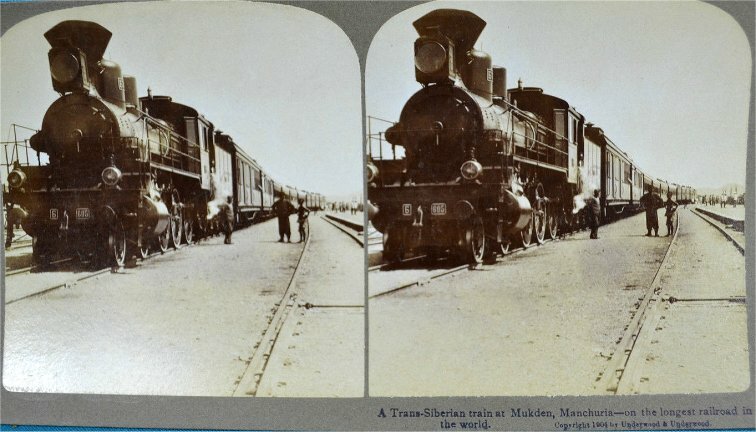 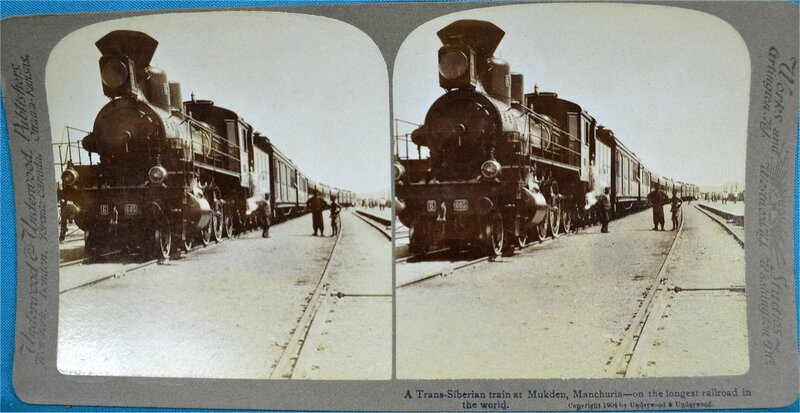 A Trans-Siberian train at Mukden, Manchuria -- on the longest railroad in the world. 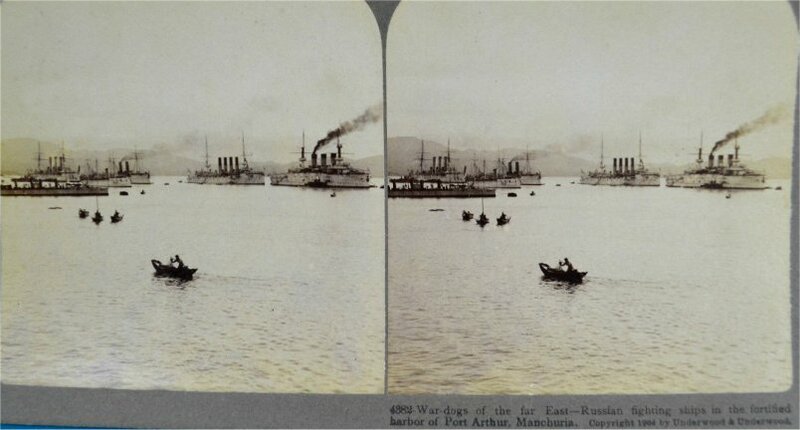 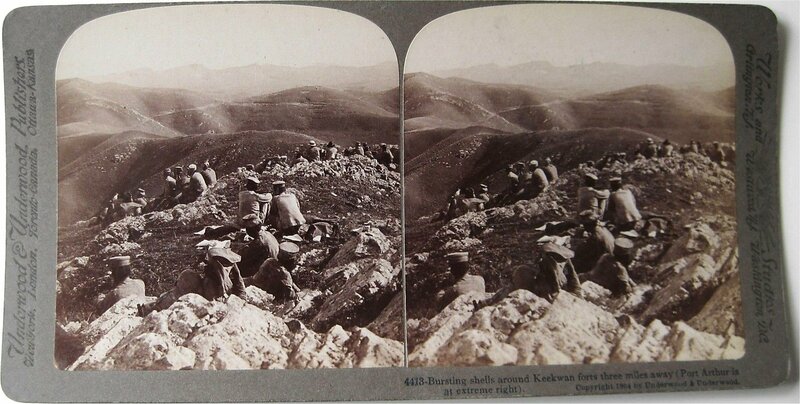 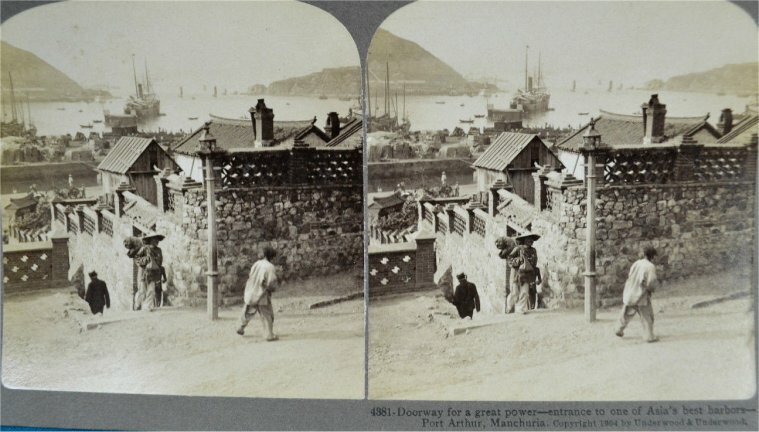 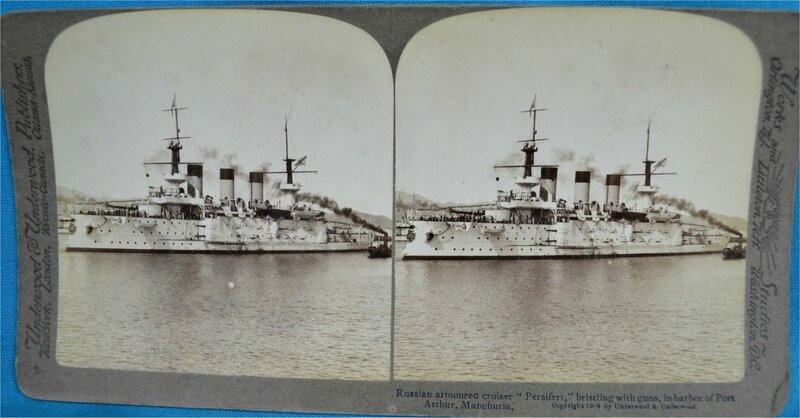 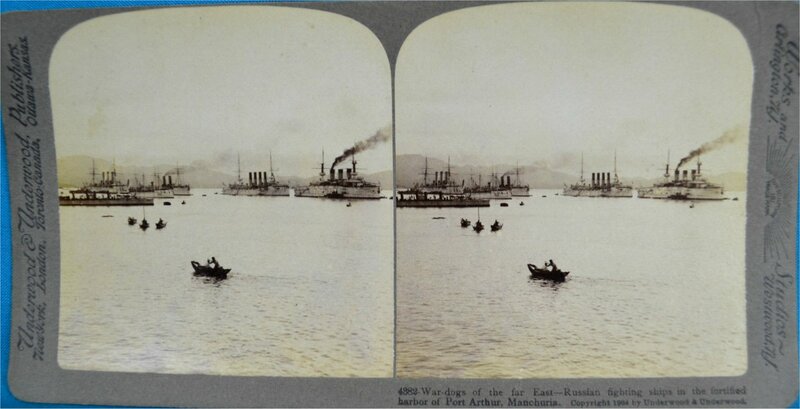 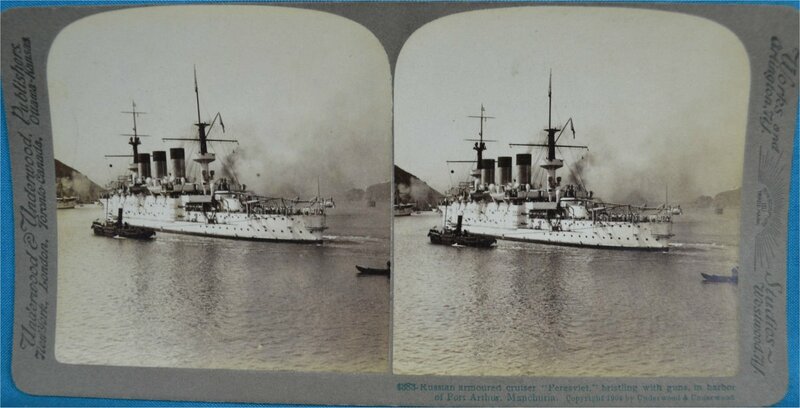 Bursting shells around Keekwan forts three miles away (Port Arthur at extreme right).